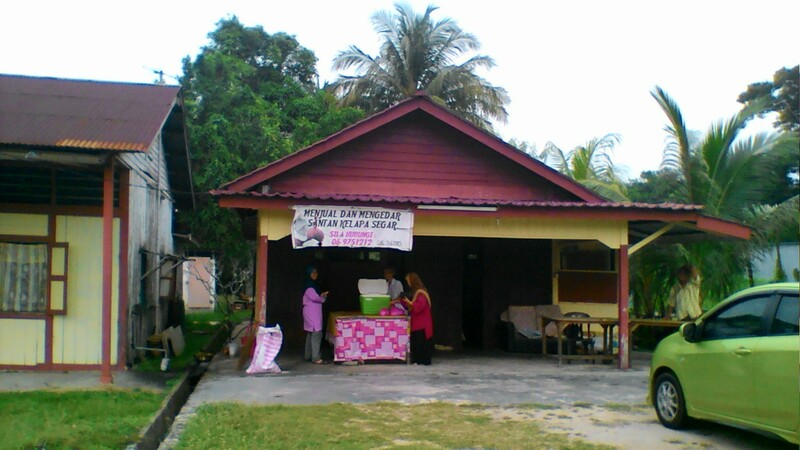 If you are looking for fresh coconut milk supplier (pembekal santan segar), this is the place. Located nearby Shell Sungai Mati petrol station, it is on left hand side if you are coming from Muar, heading to a Tangkak ( Shell on the opposite side of the road). We’ ve been using this santan supply for our cendol durian So we would recommend the quality of this santan supply.